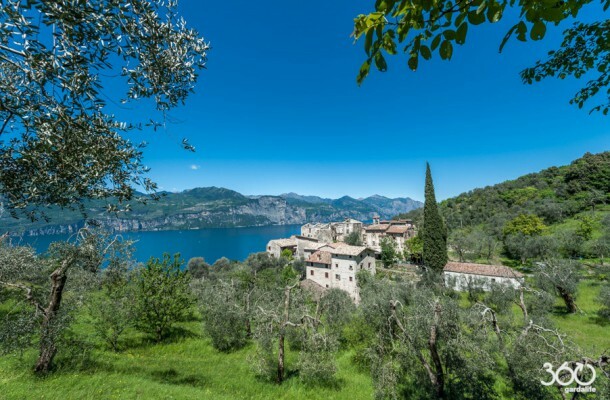 Brenzone del Garda is on the east coast of lake Garda, at the foot of Monte Baldo, located 5 km south of Malcesine. The village of Brenzone del Garda still has the characteristics of years ago. Brenzone is one of the longest municipalities in the Verona Province and doesn’t have a main centre but is formed of 16 classic old villages distributed around its area. You will also find some places with only 4 or 5 houses, most of which are named with the prefix “Cà” which is local dialect for house. Every Brenzone sul Garda hamlet is worth a visit. The most famous hamlet is Campo di Brenzone. Campo is an ancient medieval town, 200 metres above the lake and is an almost abandoned place, and now only two families still live there. Campo is reachable only by foot or mountain bike on the old trail used in the past for transhumance (moving livestock between summer and winter pastures) and today is protected as a monument. 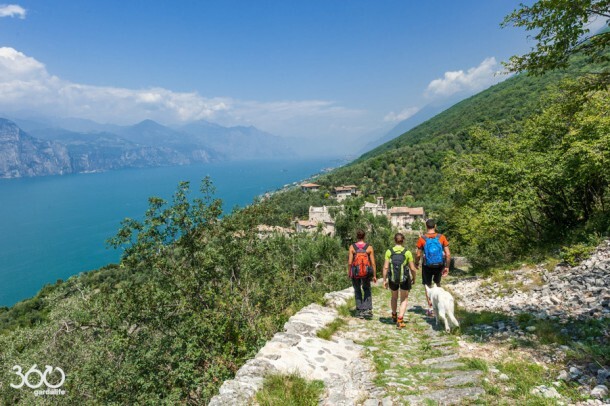 The paths and routes at Brenzone through old villages are suitable for everyone who likes up and downhill on tarmac road rather than off-road on mule tracks and rough paths through the woods and they are passable all year round. In this extraordinarily peaceful place you can let yourself forget all about the stress of modern life. It is a perfect mix between tradition, nature and sports. I suggest the route starting from Sommavilla to Castelletto di Brenzone going through the nicer hamlets of this region. It is a beautiful loop route, 17 km long and suitable for all the family. Going out you are on the hilly areas and you come back along the beaches. If you prefer a shorter route you can drop down from Castello, Boccino, Ca’ Romana or Campo to get to the beach and then back to Sommavilla. This route is suitable by bike, on foot or even for nordic walkers. In the summer of 2014 Brenzone has inaugurated the first Nordic walking park, marked in two languages. The nordic walking route takes you from Sommavilla to Castelletto. You should try Punta Veleno if you are a good biker and want to challenge youself on one of the most ferocious bike climbs in Italy. This ascent is declared one of the most ferocious climbs in Italy. A thousand metres climb over 10km, From the 2nd to the 8th kilometre, the ascent has an average gradient of 14.6% with some parts being steeper than 20%. Every year in September there is the Extreme Race Punta Veleno. The race is open to road bikes and mountain bikes. Punta veleno starts in Zignago (close to Castello) and brings you to Prada passing by Val Trovai. The Brenzone Town Council has made available through the “Avenza pdf app” a touring map of this area with bike paths and gps coordinates included (App Store, Android Store).